This means, with respect to disability or death, that such disability was incurred or aggravated, or that the death resulted from a disability incurred or aggravated, in line of duty in the active military, naval, or air service. Pension is available for wartime veterans who are permanently and totally disabled from disabilities not related with service. 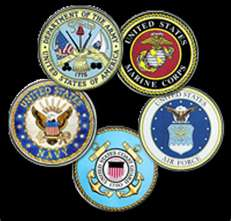 Veterans age 65 or older do not need to prove permanent and total disability. Pension is also available for surviving spouses and/or children.